Ford and FPV fans to descend on Eastern Creek this weekend. For the first time the FPV All-Ford Day - something of a must-do for blue oval addicts - is heading to Sydney's Eastern Creek Raceway this Sunday, May 31. It threatens to be massive. Lured by the tantalising prospect of what will probably be the biggest All-Ford Day this country has seen, 30,000 enthusiasts are expected to pack the raceway. The only Ford-designated event (car show) in Sydney this year will be based around participation of no fewer than 20 Ford-aligned car clubs. Of course FPV is on a roll at present, having moved ahead of HSV in short-wheelbase sedan sales. Year to date (to end of April), FPV has sold 425 Falcon-based sedans to HSV's 412 Commodore sedan models. Admission for adults is hot-value $2 and kids under 12 are free. 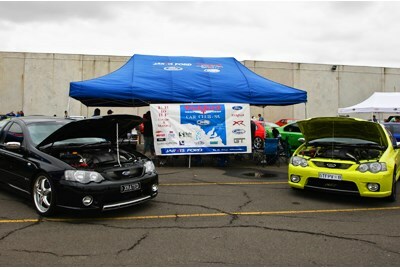 The family friendly FPV All Ford Day is an alcohol-free event. Gates open at 9am Sunday.